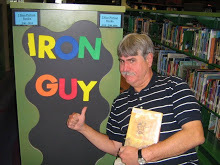 The iron Guy is excited about great new reading in 2017! Have a Great Holiday Season--And Do Some Binge Reading! Greetings of the season, guys! This is a great time of year, isn't it? Lights and decorations are out all over the place, kids get out of school and the grownup world ends its hustle, bustle and stress for a while to reflect on friendship, good cheer, family and good will. (and if you don't those are MANLY virtues, you're WRONG!) I sincerely hope that everyone has a great Christmas, Hanukkah, Kwanzaa this year--which, by happy coincidence, all happen roughly at the same time in 2016. Now this is time that a lot of bloggers talk about their Best of 2016 Lists or recommend Books For the Holidays (and if you'd like to see some holiday book recommendations, look here and here) but this year the Iron Guy is going to something different while you're out of school. I'm going to challenge you to do some binge reading. "What is binge reading?" you ask. Well, what is binge watching? Everyone knows what that is. This is the same idea. Instead of watching several episodes of your favorite show in a row, take some time to read several books in your favorite series. Or read several of your favorite individual books. Or graphic novels. Or biographies or nonfiction. You get the idea--take take some time and read a bunch. You've got a break from school; why not take some time for some serious binge reading? The Iron Guy, of course, will lead the way. I'll have a few days off, so I plan to read the first two books in the Hero's Guide to Saving Your Kingdom series. Plus several graphic novels. And some other random things. You've heard me talk about this. These would be perfect to binge on over the break. In fact, I got this idea of binge reading from Joanne Roberts, a blogger who left a comment about bingeing (is that spelled right?) on these books on my last post. Also by Tony Abbott. Great for younger reader guys. And have a thoroughly wonderful holiday season!! All right, guys, let me ask you---how do you feel when a favorite TV series ends? Or at the end of a day at a great theme park? Or after you've eaten the last slice of your favorite pizza? Or you happy and satisfied? Or are you a bit sad that it's over? Or do you feel both things at the same time? Well, that's what the Iron Guy is going through right now. I've recently finished The Crown of Fire, the final book in that terrific series The Copernicus Legacy by the unbelievably-talented Tony Abbott. I'm happy and satisfied after such a good read but I enjoyed it so much I wish there could have been more! Where should I start? It would take way too long to summarize all that's happened in these books, so if you want a quick synopsis of the main plot line, click here for a review of an earlier book. 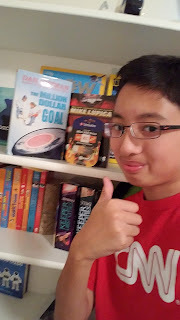 This book wraps up the plot lines; we get to find all the Relics, see what happens when they are joined together (or when at least half of them are put together), learn what happens at CERN, what happens to Becca because of the poisoning, find out what all those nuclear warheads are for and finally discover the secret of Galina's past. Along the way there are characters who jump from building to building while bad guys shoot at them, look for the most powerful Relic in the Antarctic wilderness, have guns pointed at them by art-stealing Nazis, search in creepy flooded caverns under The Monster---and then there's the mind-bending and mind-blowing finale with all the paradoxes that time travel creates. In short, there's enough action and danger to leave any reader happy and satisfied. There are some book series that grab hold of you so strongly that you spend every spare minute reading them. Then you remember them the rest of your lives. For me, they were the Percy Jackson and the Olympians books, (at least the first series) and then the Barnstormers/Sluggers series. Now The Copernicus Legacy joins that proud company. Go find them and read them!! Go find them and read them!! You will be richly rewarded when you do. 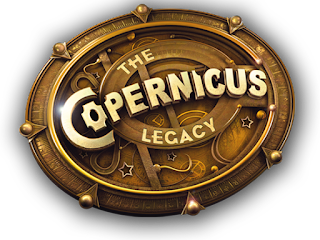 PS--don't forget there are also two books in The Copernicus Archives series, which tie in with the four other books and get referenced in this one especially. They are every bit as exciting as the Legacy books.